The world famous Chocolate Hills in the Philippines is one of the most prominent tourist spots in the said country because of its inexplicable appearance, environment and other bizarre legends about it. Located in the province of Bohol, Chocolate Hills are colossal geological formations that are naturally covered with green grass. When the wet season ends, the grass covering the hills will change its color and turn into brown. This is where its name came from. They are believed to be formed from limestone particles that have been weakened by rainfall for a long period of years. Experts refer to it as a geological formation, although they were uncertain as to how these colossal hills sprung into existence. There is an estimated 1,269 to 1,776 total number of hills in this site. The exact count of the hills is still the subject of a detailed survey which hasn’t been finished yet. The cone-like hills vary in their sizes. There are hills which measure around 30 meters to 50 meters tall and the highest one measures around 390 feet (120 meters) high. Experts had the presumption that there are large caves and rivers under the land formations and the primary shaping agent was the water from rain. The underground formations grow wider every year because of the limestone erosion as the rainwater pours. 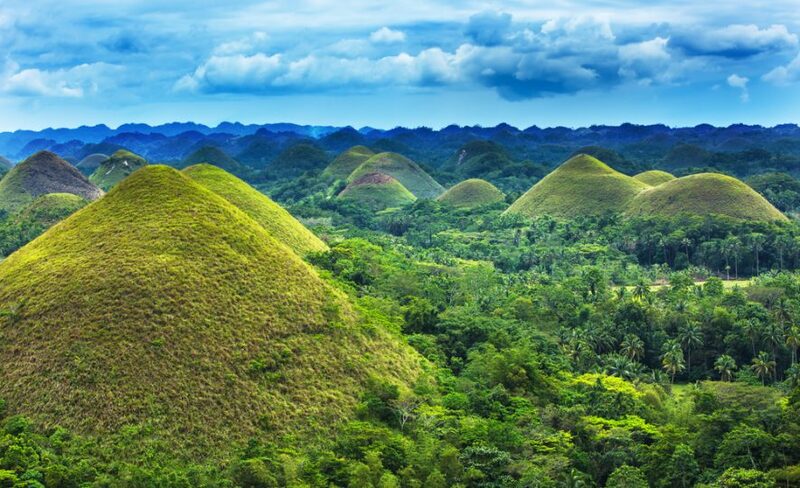 The Chocolate Hills belongs to the Seven Natural Wonders of Asia. In fact, the land formation is even featured on the provincial flag of Bohol. Because of the tourist spot’s popularity, local authorities are exercising maximum care and they give a hard time to archaeologists and other experts who wish to explore the unseen locations of the hills. 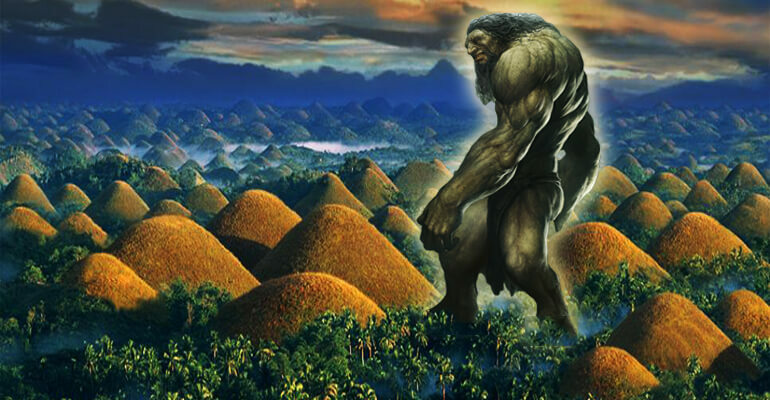 Speculations about the origin of the Chocolate Hills have been circulating the cyberspace. There are some articles focused on discussing the dome-like features of the land formation, and this had strengthened the belief of people that the hills are artificially made. 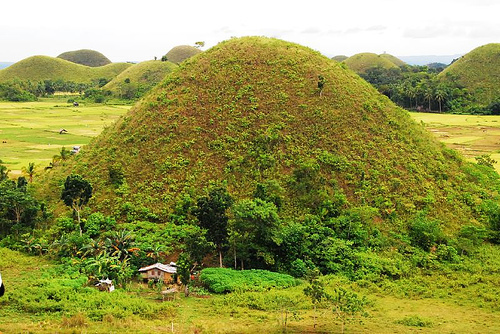 Due to the absence of adequate scientific studies about the origin of Chocolate Hills, people are still in a state of a quandary – they think that the hills are the creations of humans, or maybe, of some mythical entity. 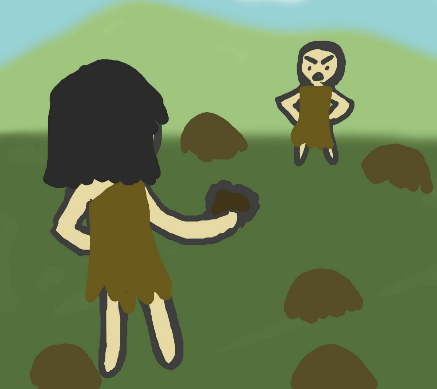 If we were to review the Philippine folklore, we would come across accounts of giant human-like beings who started a fight by throwing boulders against each other and left a great mess after or another story of a giant whose mistress died. He cried for days and his tears, mixed with chunk portions of soil, formed the Chocolate Hills. Although these are just legends, all of which tell about giants who could have been the reason for the formation of this tourist attraction. Now, what could we actually find under these molehills? Based on one scientific theory, these hills might have been used as entombments of foregone leaders or rulers of the place. Asia is known as a continent full of pyramids, entombments, burial mounds, and has unique yet odd funeral art like the Terracotta Warriors interred together with the body of China’s first Emperor, Shi Huang Ti. So why wouldn’t the Filipinos want to excavate such an exuberant inheritance from the ancient people if it was really true? In addition to the speculations mentioned above, another guess has been made and it emphasized that the hills are natural landmarks, but it was not made of rainwater. Instead, it was believed that these land formations sprung to life because of higher geothermal activity made by the volcanoes nearby. Besides, the Philippines is located in the “Pacific Ring of Fire”, the part of the world that experiences the most number of earthquakes. Before new exhumations are done, we will still be left in uncertainty as to how these hills originated. The most that we can do now is to make guesses. What do you think? Are these geological formations artificial? A colossal being’s masterpiece? Or the volcanoes made a piece of art that is inconceivable for a human intelligence? Written by John Malapad, Lucis Philippines contributor.